BluGuru will be conducting workshops and performing at the Kelly Country Pick from August 14th to 19th. There's been a special request for more tabla at our concerts this year, so get ready for some Indian rhythm! 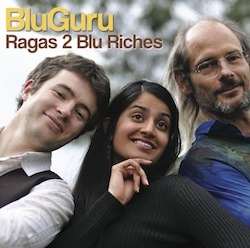 Parvyn and Josh from BluGuru are currently on the road performing Indian music and dance workshops around Australia and New Zealand. For more information, click here.